This piece and them previous were struck by the Russian army during the war between the Otoman Empire and Russia waged between 1768 and 1774. Empress Catherine (Ecaterina) II endowed her army with a round budget for this war and a mint, but DID NOT provide the silver or other precious metal for striking. 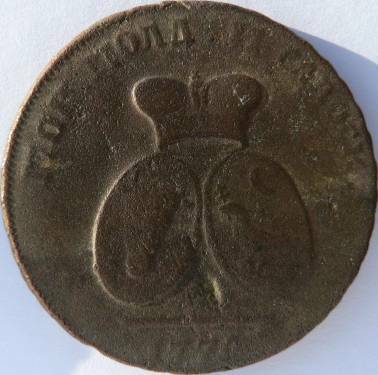 This led to the issue of these two bronze coins the value of which was not covered by anything and which were imposed to the Romanian population for products. The value is double: first the currency is expressed in paras, small Turkish coins that circulated along many other European currencies in the Romanian Principalities, and then in denghy or kopieky, Russian currencies. 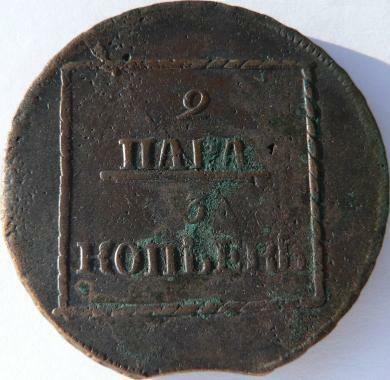 This Russian custom applied to the countries that were already or about to be conquered - double legend and double face value coins were struck by Russia for Poland, Finland and Georgia at least, for other countries also, perhaps. 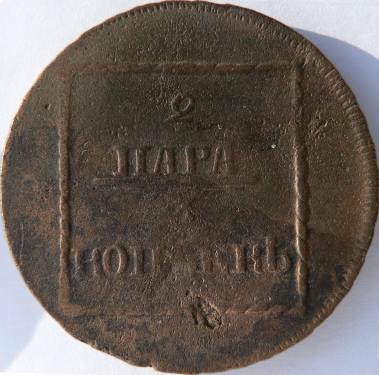 Interesting to notice, no other coins were ever struck for TWO countries at the same time: watch the obverse legend that says "Moldavian and Walachian coin". There are also two coats of arms. Moldavia and Walachia of the time were bound by common heritage, language, religion and Otoman suzerainty - nevertheless, they were different countries. The fact is that Ecaterina II knew that the Principalities were populated by Romanians and had a plan to unite the two into a "Dacian Kingdom" that should have been given to her son. 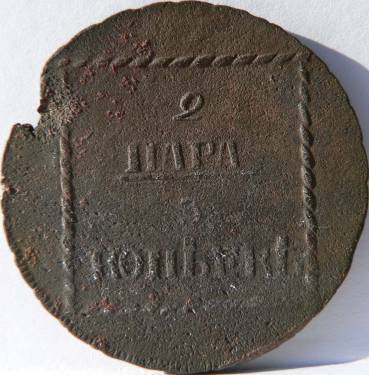 The coins were struck at Sadagura near the town of Cernăuţi, in northern Moldavia. 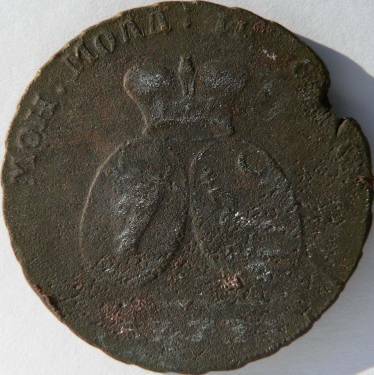 The bronze of the coins is that bad that you can hardly find now a piece in decent condition. 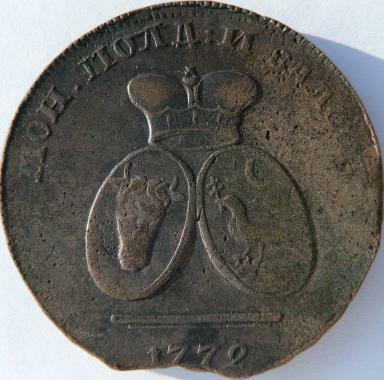 35.2 mm diameter, 16.4 g, bronze year 1773?